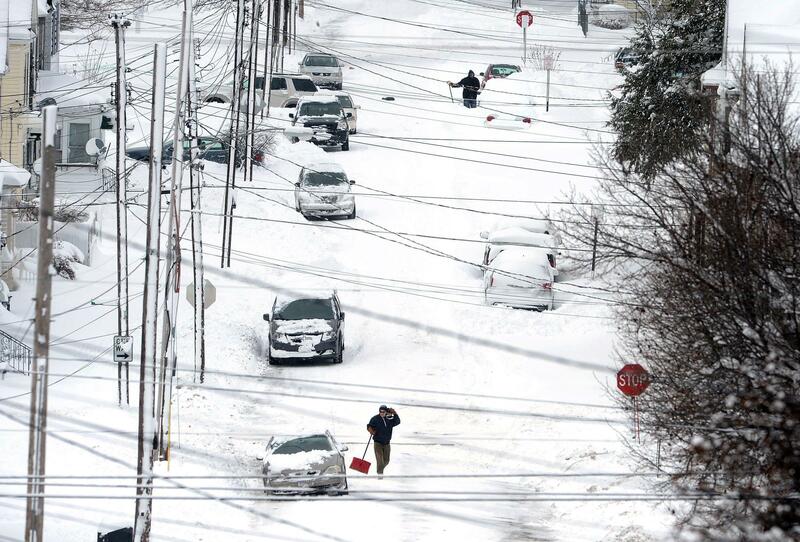 ERIE, Pa. – A Christmas storm has dumped a record amount of snow on Erie, Pennsylvania, and surrounding areas. The National Weather Service office in Cleveland said Monday’s storm brought 34 inches of snow, an all-time daily snowfall record for Erie. Another 19 inches fell before dawn Tuesday, bringing the total to 53 inches, the greatest two-day total in commonwealth history. The previous record was the 44 inches that fell in Morgantown in March 1958. Erie issued a snow emergency, citing “dangerous and impassable” roads. It asked residents to stay off streets until the snow stops and roads can reopen. Published: Dec. 26, 2017, 7:51 p.m.